When my sweetened condensed milk was thick, I slowly whisked in the milk/cream/green tea mixture, keeping the very low heat going. I then took everything off the heat and added a teaspoon of vanilla, a squirt each of fresh lemon and fresh lime juice, and a hint of fresh lemon zest and fresh lime zest. I also squeezed in a few drops of green food color to enhance the final look. Then it was off to the freezer. I inserted the sticks at around the 1.5 hour mark. I checked them pretty regularly, waiting for the perfect time when they were firm enough to support the sticks. I froze them overnight. To dislodge them, I ran a bit of warm water over the mold to encourage the pops to dislodge. Bring sweetened condensed milk to a boil in a medium saucepan (stirring frequently), then reduce heat and stir constantly for 15 minutes until it is very thick. Whisk together milk, cream, and green tea powder. Add milk/cream/tea powder mixture to sweetened condensed milk in saucepan, whisking it in slowly until well blended. Add vanilla, lemon/lime juices, zest, and food coloring (if desired). Cool mixture completely (about 30 minutes). 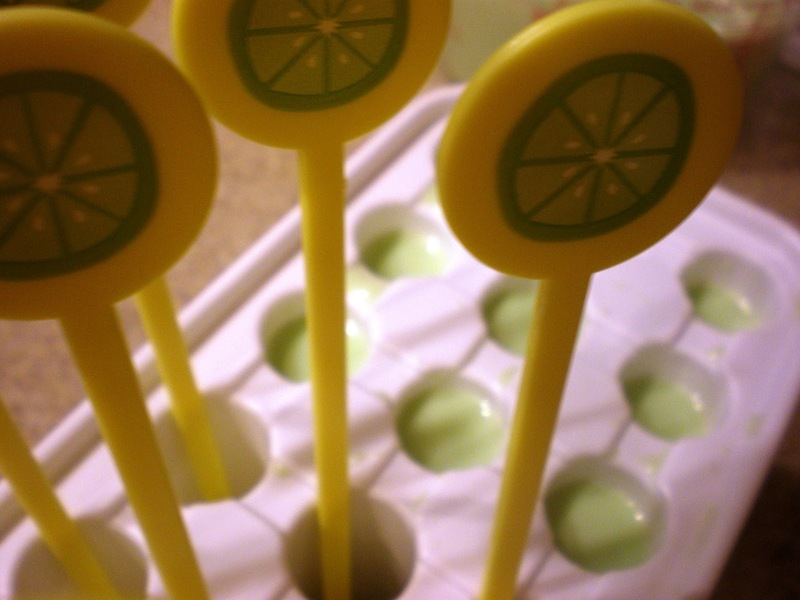 Pour mixture into molds (about 3 oz per pop). Freeze for about 1.5 to 2 hours, checking periodically to see if the pops are firm enough to insert the sticks. Insert sticks, then freeze until firm. This will be a minimum of six hours; they can be frozen overnight. To dislodge pops, run warm water gently over the mold. 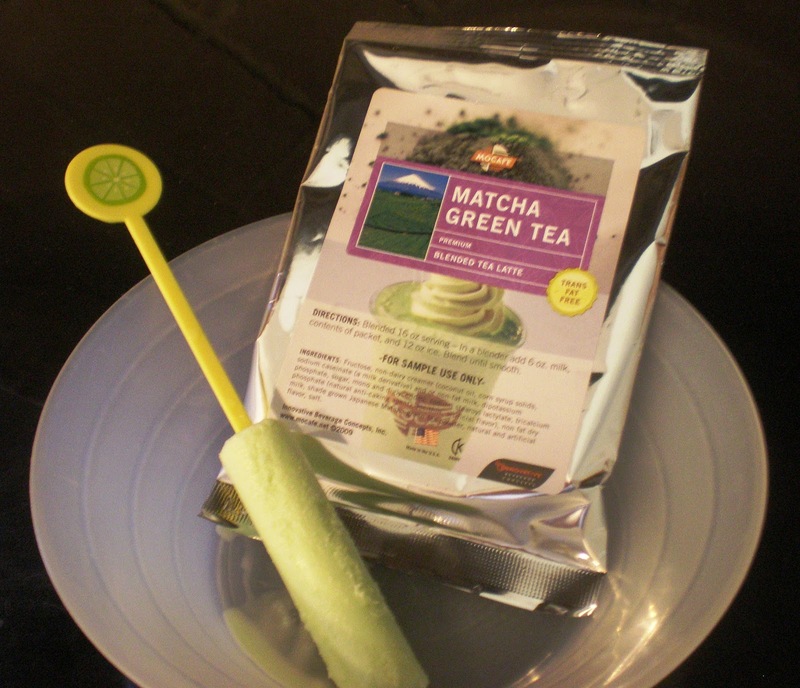 For more information on Matcha Green Tea, visit this link. Mocafe (creator of Matcha Green Tea) would love for you to like them on Facebook. Lastly, thank you to 5 Minutes For Mom for coordinating this promotion. This entry was posted in 5 Minutes for Mom, Bagelheads, Matcha Green Tea Latte, MoCafe by Paula Kiger. Bookmark the permalink. Love green tea and these sound great!